Tyree Guyton is planning to cover a street in Midtown for several weeks as part of a series showcasing the works of Kresge art fellows next month. “I think it’s going to take 10,000,” he said Wednesday. The Heidelberg Project, a nonprofit founded by Guyton, officially announced the project Tuesday. The “Street Folk” installation will cover all of Edmund Place from Woodward Avenue to John R. Street with shoes. It’s meant to address the issue of homelessness, with the shoes symbolizing life on the street and also those who use the streets and pass by homeless people every day, he said. Guyton is working with a shoe distributor and collecting donations to hit the estimated 10,000 mark. Some of the shoes will be painted, contain notes or be otherwise artfully touched up. “If people need shoes, we welcome people to take them as well,” said Heidelberg Project Executive Director Jenenne Whitfield. University Cultural Center Association President Sue Mosey helped obtain permission from the city of Detroit for the project, Whitfield said. Guyton, a 2009 Kresge visual arts fellow, is preparing the work as part of Kresge Arts in Detroit’s Art X Detroit series, produced by the UCCA. Kresge Arts in Detroit is a fellowship program funded by The Kresge Foundation and administered by the College for Creative Studies. The program runs in two-year cycles, and the first cycle wrapped up at the end of 2010. The first year of the cycle awards $25,000 fellowships to visual artists and the second year to literary and performing artists. The fellowships were awarded to 18 visual artists in 2009, followed by nine performing and nine literary artists in 2010. The next cycle will give 12 awards for each category, said Mira Burack, assistant director for Kresge Arts in Detroit. Also for each cycle, two artists receive a $50,000 Kresge Eminent Artist Award. Art X Detroit is the first showcase of the works of these artists, who were commissioned to produce pieces specifically for this series. Many, such as Guyton, are working to meet the deadline of April 6, the day the series begins. The series runs through April 10, but some works, including Guyton’s, will stay up through April 24. Two highlights will be the unveiling of a public art installation by Charles McGee, who won Kresge’s first Eminent Artist Award in late 2008 as the fellowship program kicked off, and performances by musician Marcus Belgrave, who won the award the following year. McGee is working on a 20-foot wide by 8-feet tall curved panel to appear at John R. Street and Farnsworth Street on the grounds of the Rackham Building, said Annmarie Borucki, marketing manager at UCCA. Called “Spirit Renewal,” it likely will be composed of black and white figures that portray a sense of motion, a theme to McGee’s previous works, she said. It will be part of UCCA’s Midtown Loop Greenway project. McGee donated the piece to Kresge, which in turn donated it to the city, with UCCA as caretaker. The Kresge Foundation set up Kresge Arts in Detroit as a way to directly support artists, as opposed to funding organizations, Burack said. The Kresge fellowships are highly sought-after by Southeast Michigan artists. “There is no other fellowship that we know of now that directly supports metro Detroit artists,” Whitfield said. Oliver Ragsdale, president of the Virgil H. Carr Cultural Arts Center, said it is rare for grants to support individual artists and that Kresge deserves credit for filling a void in arts funding in recent years. Other works for Art X will appear in a long list of Midtown establishments, including the several museums that populate the neighborhood, the Magic Stick, G. R. N’Namdi Gallery, Leopold’s Books and The Scarab Club. The main exhibition will be at the Museum of Contemporary Art Detroit. Besides art exhibits and installations, also planned are panel discussions, performances and readings, for a total of 50 different elements to the series. A website, artxdetroit.com, is planned to go live this week. Meanwhile, shoes for Guyton’s installation are coming from Guyton’s fans far and wide. 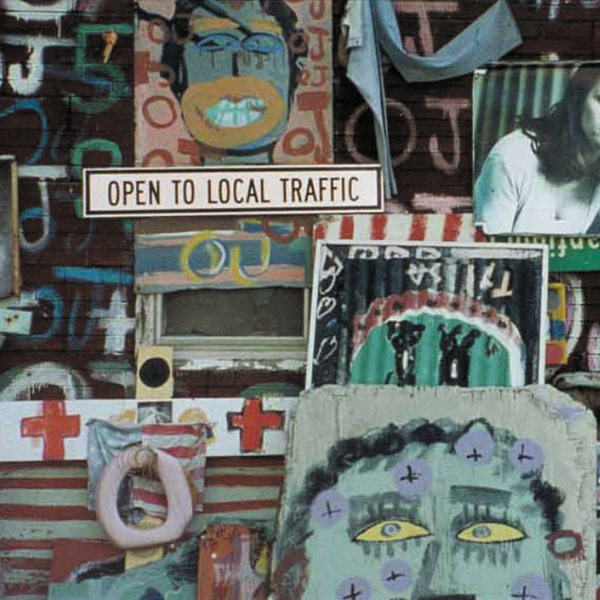 The Heidelberg Project, begun in 1986, has drawn fans and visitors from throughout the world. The project is a house and large yard on Heidelberg Street in Detroit’s east side that’s covered with discarded items. Whitfield said 275,000 people visit the house every year. “We put the word out there,” Guyton said.